Middleton Glen Retirement Community is hosting a free downsizing workshop on May 9 at 10:30 a.m. in the community’s Fireside Room, located at 6720 Century Avenue. Segues Senior Moving Specialists will present tips and tricks that make it easier to downsize out of a longtime lived in home. “Almost everyone accumulates stuff when they’ve lived in one place for awhile, so learning out how to downsize is crucial when starting to plan to move” said Stacie Luck, the Retirement Living Advisor of 6 years at Middleton Glen. Refreshments will be served and a tour of the community will be offered. To attend, R.S.V.P. to Stacie Luck before May 3 by calling (608) 836-7998 ext. 222 or signing up at www.middletonglen.com. 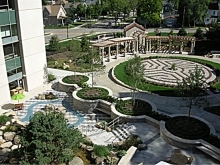 Middleton Glen was established in 1997 to provide retirement living for those over the age of 55. In March, the Middleton Police Department conducted another round of alcohol compliance checks. The purpose was to determine the degree to which licensed establishments complied with laws relating to the sale of alcoholic beverages to underage persons, according to police. The current round of 35 checks yielded a compliance rate of 85 percent. All licensed establishments in the City of Middleton were notified by letter that compliance checks would be conducted. The Department of Financial Institutions (DFI) is urging Wisconsin business owners to exercise caution if they receive a request for information from a company called Corporate Records Service, according to a press release issued this morning by Jill Tutaj, Middleton Police Department community awareness officer. Business owners are asked to fill out an Annual Minutes Form and submit a fee of $125 to a Madison address. Businesses are not required by DFI or any other state agency to complete the form. TDS Telecommunications Corp. (TDS®) customers have reported receiving voice phishing calls. These calls are fraudulent attempts to scam TDS customers into revealing sensitive account information. People should be extra cautious of any phone call requests to verify account information. Voice phishing or “vishing” scams have become increasingly sophisticated. While people have become smarter about other phishing scams, so have criminals. They are switching tactics and using a form of communication that people trust—the phone. Vishing typically begins with an automated phone call. The recording warns of fraudulent account activity on the persons account and directs them to call a toll-free or local number immediately. At this time, they are asked a series of questions about personal and account information. What began as a routine review of a Middleton foster care agency revealed that the owners were using taxpayers’ money to dine on lobster tails, pay themselves at more than three times the customary rate and purchase luxury cars. In all, the Wisconsin Department of Children and Families alleges Community Care Resources, Inc. wasted more than $6.1 million of public funding. The wages director Dan Simon paid to himself during the three-year period of review totaled more than $1 million. A review of the top eight average provider salaries showed an average salary of $102,770 and a review of salary.com showed the top behavioral executive in Middleton earning $139,111. The Bruce Company, the nation’s 32nd largest landscape contract business and the largest in Wisconsin, has announced a strategic alliance with a well-known St. Paul-area company in a plan a press release said will help both partners thrive as the economy begins to grow again. Reliable Property Services LLC, the seventh largest snow and ice management company in the country headquartered in Eagan, Minn., with offices and customers throughout Iowa, Minnesota and Wisconsin, will combine its strengths with The Bruce Company’s national reputation in landscape design and construction, along with its 600-acre nursery operation in Verona, which will provide nursery stock to both companies. Sumanjit Singh is trained in the field of mechanical engineering. But Singh, 29, who grew up in Punjab, India, also had an informal education in the restaurant business – an education that stretches back to some of his earliest memories. 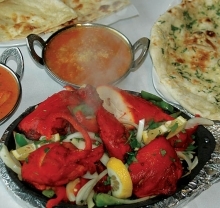 “Here” is Dhaba Indian Bistro, located at 8333 Greenway Blvd. Singh’s family has worked in the restaurant business for years, and he worked with them. Now he owns Dhaba, which opened last year and serves lunch from 11 a.m. to 3 p.m. and dinner from 5-10 p.m.
A locally-owned eatery surrounded by chains, Dhaba is already something of a culinary beacon for many who live and work in the Good Neighbor City. The Middleton Chamber of Commerce will host its 61st Annual Celebration Thursday, Jan. 31 at the Marriott Madison-West in Middleton. This year’s theme is “Get In The Game,” and the festivities will begin at 5 p.m. and continue until 10. There will be countless things to do, watch and eat, and some of the Milwaukee Brewers’ racing sausages will attend as well. The Annual Celebration brings together both chamber members and the community at large. It features food and beverages from 14 chamber members and the Marriott, a silent auction with more than 100 packages donated by chamber members, a paddle raffle (1-15 chance) to win packages worth over $1000, entertainment and games, and more. The chamber has released a promotional video about the event, which can be viewed at: http://www.youtube.com/watch?v=Jk-BxUiNiU4. Register to attend at middletonchamber.com. After nearly 40 years of service in the telecom industry, Al Ripp, market manager for TDS Telecommunications Corp. (TDS®) has retired. His last day with TDS was Dec. 31. When Ripp looks back on his career in telecommunications, he says it’s the customers and fellow employees who stand out. As a young man, Ripp got his start washing vehicles for Mid-Plains Telephone Company in 1974. During his tenure at TDS, he held a number of different positions before being named general manager in the late 1990’s. Then, in 2007, Ripp was named market manager for TDS covering Dane County and eventually working throughout Wisconsin, Minnesota, and Michigan’s Upper Peninsula. Hallman/Lindsay Paints donated more than $5,500 to local food pantries across Wisconsin in honor of its customers during this past holiday season. In each community where Hallman/Lindsay has a store location, including the City of Middleton, a local food pantry received a donation. 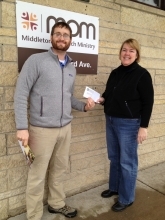 In December, John DeVries, manager of the Hallman/Lindsay store in Middleton, met with Debbie Kutchin from Middleton Outreach Ministry to deliver the company donation.